Modacity is impacting musicians in a positive way! Meet Dafydd and Alden, who found they could win auditions while using our app. 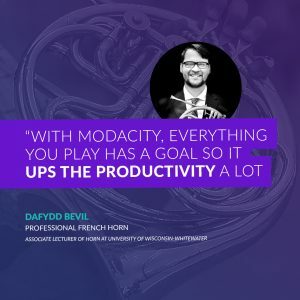 Dafydd Bevil is a professional french horn player who resides in Madison, WI and has been using Modacity for quite some time. He actively freelances and currently is working on recording a debut album. He also teaches and owns a private studio. The first step Dafydd took was to go through his excerpt list and assign a number to each excerpt. The numbers correlated to his comfort level with each specific excerpt. First, he would use Modacity to record each excerpt he practiced. 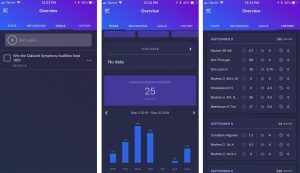 Next, he would use the improve feature in the app to work through the deliberate practice method. Sometimes, he would just focus on one aspect of an excerpt per day. On other days, he would tackle multiple areas of improvement. He always made sure to practice at least one level three excerpt and one or two level two excerpts per practice session. 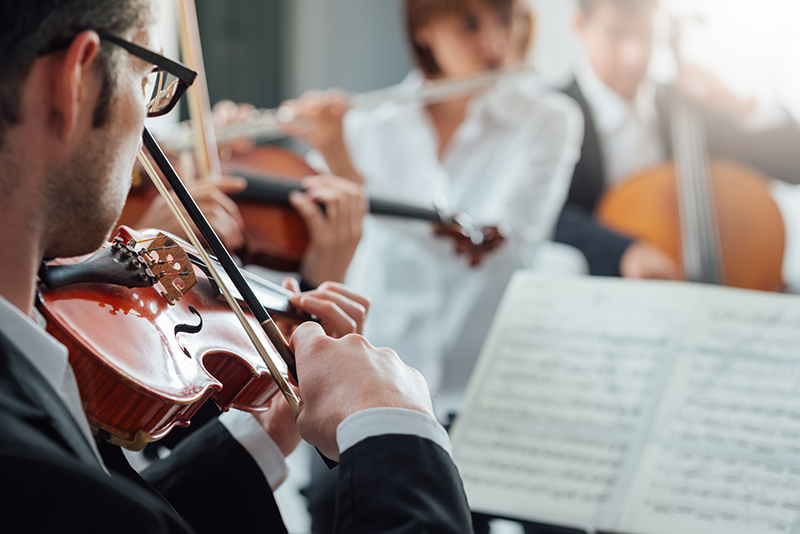 All level 1 excerpts practiced would be used to practice as if it were a performance. About two weeks out from the audition, he began to do mock auditions. He played for real people, and also mock performed while using Modacity. using a generator app on his phone. After that, he would warm up as if in a warm up room at the audition. Then, he would pace around for about 3-5 minutes to simulate the walk to the room. Next, he would hit record and perform like it was a real audition. Post his mock audition, he would listen back and take notes. Then, he would use the improvement button again. But instead of re-recording things, he would come up with a list of ways in which he would try to improve at the next mock audition, and write them down. He would do these mock auditions every day from about two weeks out, until a day or so before the audition. Most of the time, he would do multiple rounds to simulate preliminaries and finals. When the actual audition came around, it felt very similar to his mocks – which put him more at ease through the process. Dafydd’s Pro-tip: Playing back his recordings while having the metrodrone on in Modacity. This helped him to check his intonation and rhythm, plus get immediate feedback on how he did. ​ ​To learn more about the awesome musical work he’s doing, visit his website. Alden F. Cohen is a professional bassist based in the San Francisco Bay Area. Mr. Cohen enjoys performing as well as teaching around the SF Bay Area. He frequently performs in the San Francisco Bay Area, and has also written a book called Pre-Shift Practice with Scales. 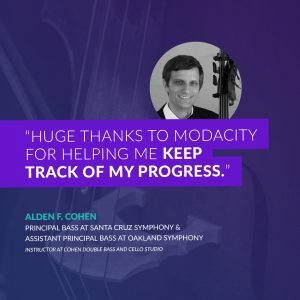 Recently, Alden won his Oakland Symphony Assistant Principal Double Bass audition while using Modacity. Keep track of what excerpts he had been working on. Easily able listen to his excerpts and run-throughs either after a practice session or while in the car on the way to his next gig. Record his lessons through Modacity. Help him visually see what type of progress he’d been making. Help him stick to his “to-do list” within the amount of time he had each day. Listen back to some of the key ideas that he went over in the last lesson. 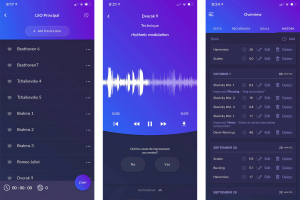 Easily share his own recordings with his students. Create an individual plan for each of his students. ​​To learn more about Alden and his journey towards musical mastery, check out the links below.